A candidate for the La Plata Electric Association board is facing a second election review about his residency in the district he hopes to represent. 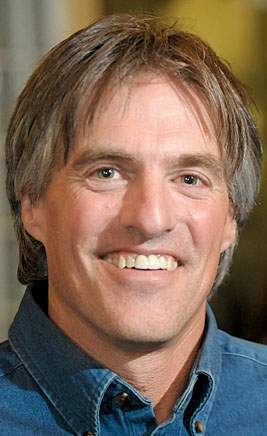 Jack Turner, an incumbent, is running against Sarah Ferrell to represent northern and eastern La Plata County on the LPEA board. The co-op’s Election Supervisory Committee, a board of residents from each LPEA district, reviewed Turner’s residency in March and confirmed his eligibility to run for the board. The group now plans to review Turner’s residency again after additional questions were raised, said Ron Meier, manager of engineering and member relations. LPEA member Annalee Barrett said she had questions about Turner’s residency because his wife moved to Denver, and Turner has spoken publicly about the difficulty of traveling to and from Denver and Durango. Additionally, his Durango residence is regularly listed for rent. “Any time members have sought answers to these questions, Jack has claimed he is being harassed,” she told The Durango Herald in an email. The election committee is looking into Turner’s residency a second time because his home was listed for rent online, Meier said. “I am having to move out of my house at the end of the month, and I am looking for another place to live that maintains my qualifications as a director and candidate,” Turner said in an email. He did not address additional questions behind the election committee’s reviews. In October, he said his wife had moved to Denver, but he continued to live in Durango. Meier said he could not say when the election committee would make a decision about Turner’s residency, but it should be soon. Voting in LPEA’s election has started, and residents have until May 2 to return their ballots. If Turner is found to be ineligible as a candidate for LPEA, his opponent would be appointed to the board, Meier said. The election committee first reviewed Turner’s residency in March because his membership in LPEA briefly lapsed in 2018, Meier said. The review found Turner’s roommate had changed the electricity account for the home out of Turner’s name, Meier said. “There was a miscommunication when Jack took on a roommate,” he said. Common Sense LPEA member Heath Rowe said questions about Turner’s residency have been raised multiple times. “It’s a pattern,” he said. Rowe has recently taken issue with other decisions and statements made by the LPEA board. For example, LPEA board members decided not to ask voters to change the bylaws to allow members to decide whether to buy out of a contract with the co-op’s wholesale power supplier. “If the public had trust in the board, I don’t know that these things would actually be issues,” he said.